The Mesa Verde Back Country Horsemen will host its annual tack and equipment consignment sale from 9 a.m. to 3 p.m. June 2 at Montezuma County Fairgrounds. 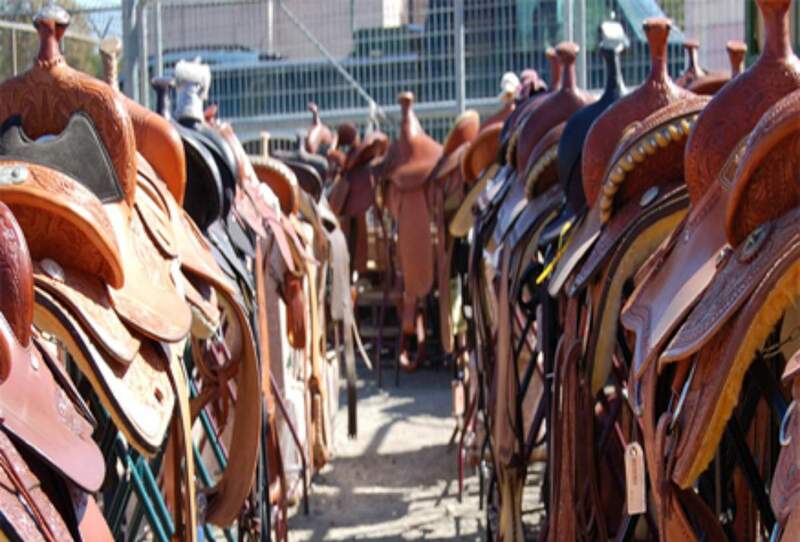 The Mesa Verde Back Country Horsemen will host its annual tack and equipment consignment sale from 9 a.m. to 3 p.m. June 2 at Montezuma County Fairgrounds, 30100 U.S. Highway 160, in Cortez. Saddles, tack, equipment, clothing, hats, boots, horse trailers and other horse-related items will be available. Consignment sellers are instructed to submit consignment sale items from 9 a.m. to 6 p.m. Friday, June 1, at the fairgrounds. Vendor booths will provide additional items and services. Proceeds go to Mesa Verde Back Country’s efforts to maintain public trail systems. For more information, to provide consignment items, secure a booth or volunteer, call Cindy at 757-1035 or Jan at 570-9139; email mvbchorsemen@yahoo.com or visit www.mesaverdehorsemen.com.